The Typical Tapas family continues to grow. It figures, given that Spain has tapeo as a deeply rooted tradition and demand for new products never stops. Chicken, in different formats, and cheese are at the centre of our latest “Typical Tapas”, ideal as an entrée, as dinner finger food or a snack between meals. Today we show you the best new photos of our new Typical Tapas. Three new chicken items now feature on the Typical Tapas range. One of them is the Cajun-taste chicken sirloin, natural and exotic in equal amounts. 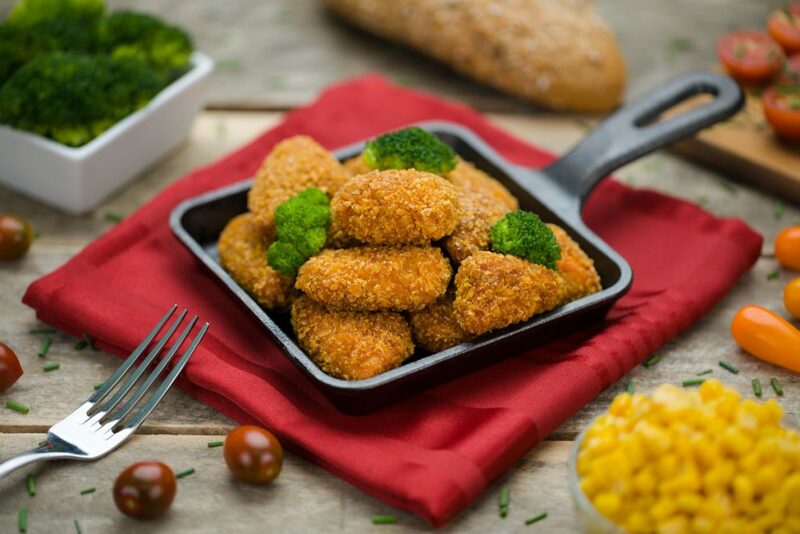 They are portions of chicken sirloin coated with crunchy breadcrumbs, pre-fried and deep-frozen. 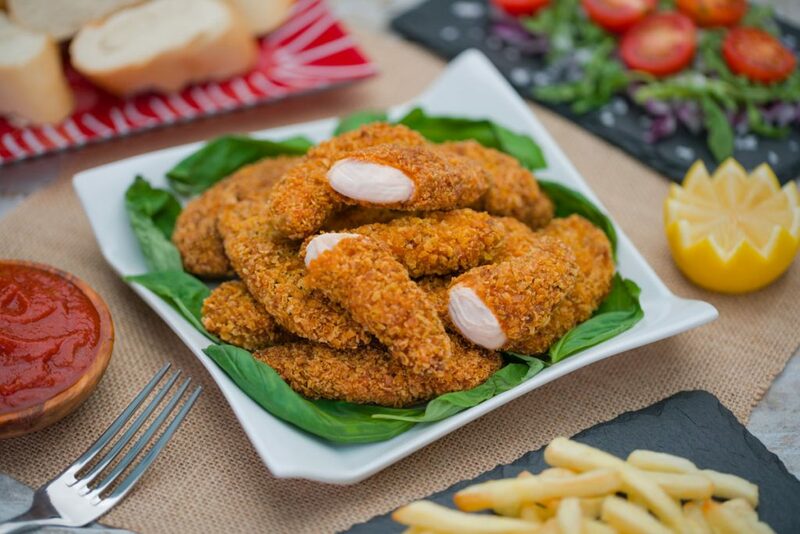 Another one is the Cajun-taste chicken breast delicacies, made from chicken breast coated with crunchy breadcrumbs, pre-fried and deep-frozen. 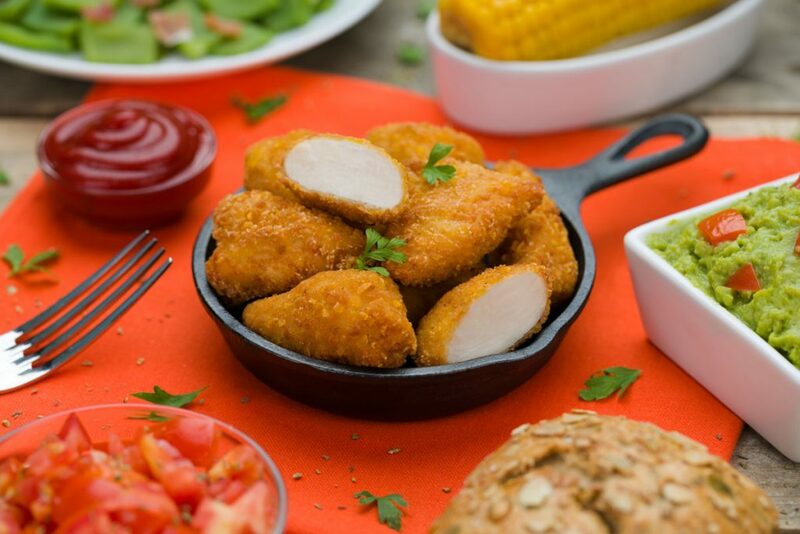 Without the exotic touch, we present the chicken breast delicacies, made from chicken breast coated with crunchy breadcrumbs, pre-fried and deep-frozen. 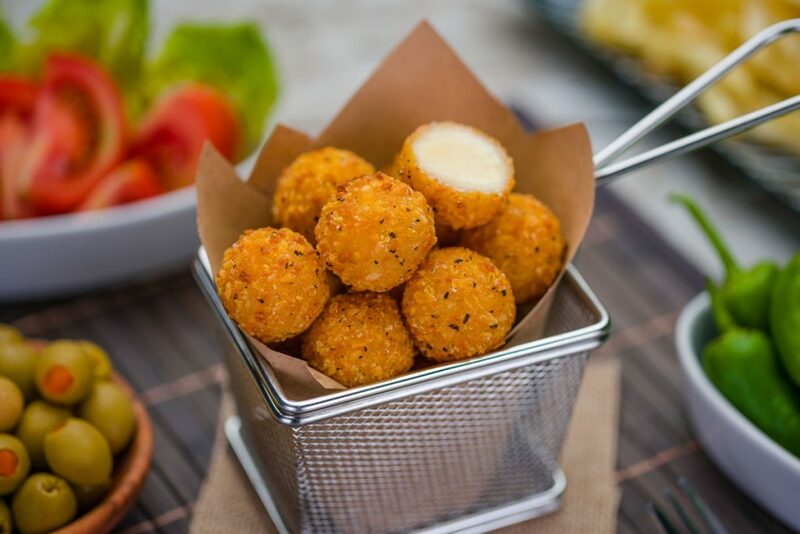 The fourth new product is the Raclette Cream Snack, deep-frozen pre-fried balls filled with Raclette cheese, breaded with crunchy and spicy topping. Once it´s tried, it´s indeed a pleasant surprised sure to make fans. These four new products join the rest of the products on the Typical Tapas range, eleven recipes such as the Jalapeño Snacks, the Mozzarella Fingers, the Chicken Fingers, Breaded Squid, Cod and Piquillo Pepper Balls, among others.